Unicycle Rose: What does a healthy family look like? 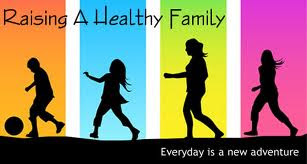 Do you know the characteristics of a healthy family? Cleaning out a pile of papers in our office I found notes I saved from years back. They are pointers from the book The Power of a Parent’s Words by H. Norman Wright. I have not read through this list in a long, long time. I paused when I found it and lately I’ve been thinking about our family characteristics, you know, examining what we are doing right and where we can improve. I'm scrutinizing the balance of our family dynamics. Is your family in or out of balance? Check. The climate of the home is positive. The atmosphere is basically nonjudgmental. Each member of the family is valued and accepted for who he or she is. There is regard for individual characteristics. Each person is allowed to operate within his or her proper role. A child is allowed to be a child and adult is an adult. Members of the family care for one another, and they verbalize their caring and affirmation. The communication process is healthy, open and direct. There are no double messages. Children are raised in such a way that they can mature and become individuals in their own right. They separate from Mom and Dad in a healthy manner. The family enjoys being together. They do not get together out of a sense of obligation. Family members can laugh together, and they enjoy life together. Family members can share their hopes, dreams, fears and concerns with one another and still be accepted. A healthy level of intimacy exists within the home. Can I add my own pointer here? Healthy families pray together; dinner, bedtime or whenever. This builds family itimacy, allows members to share what's in their hearts, and displays a dependence and need for God. This weekend my family will be laughing and enjoying life together (a healthy characteristic) as we take a trip to a mountain cabin for some sledding, rest and relaxation. It will be a perfect time to sit back and examine what we’ve done right and think of ways to improve where we’ve fallen short. It is never too late … there’s always room to grow and work on creating a healthier family! I need to print this out and hang it for everyone to see. We need to work on some things. Have a great weekend. Sounds fun! My family has our moments, but I think we qualify as happy. Great reminder. Enjoy your weekend as I am sure you will. How do you keep everyone motivated?